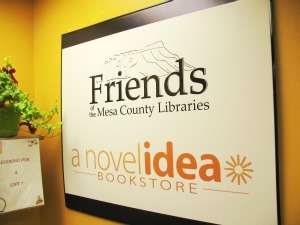 The library’s used bookstore brought to you by Friends of Mesa County Libraries is located in the west hallway of the Central Library. They offer a wide selection of materials for all age groups. Book donations are not accepted at any library locations. Donations are handled by the Friends of Mesa County Libraries group and should be dropped off at the First Congregational Church across from Grand Junction High School at 1425 N. 5th St. The Central Library has a magazine exchange on the lower level. Feel free to drop off unwanted magazines and take as many as you like! Please take your name and address off magazines (if applicable) before donating for security reasons.